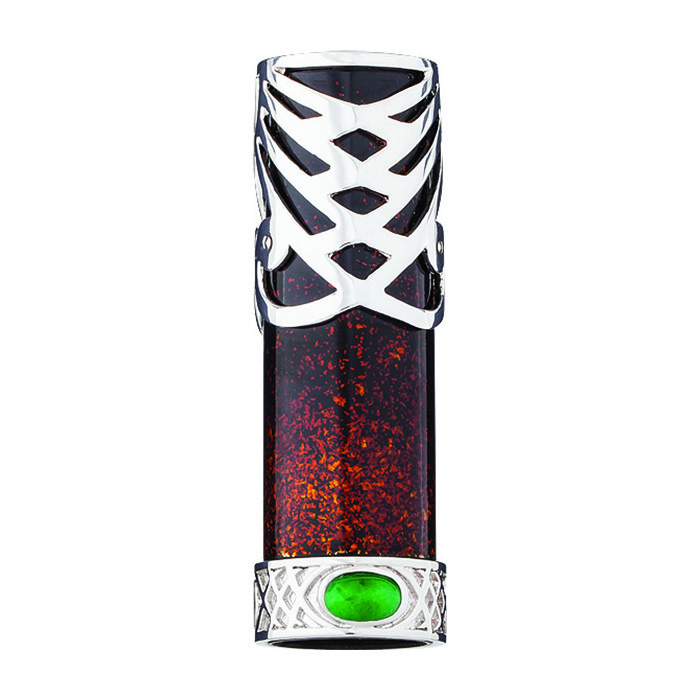 Dusted accents, carved jade, and interlocking sterling silver dragon wings enshroud raw ebonite barrells. 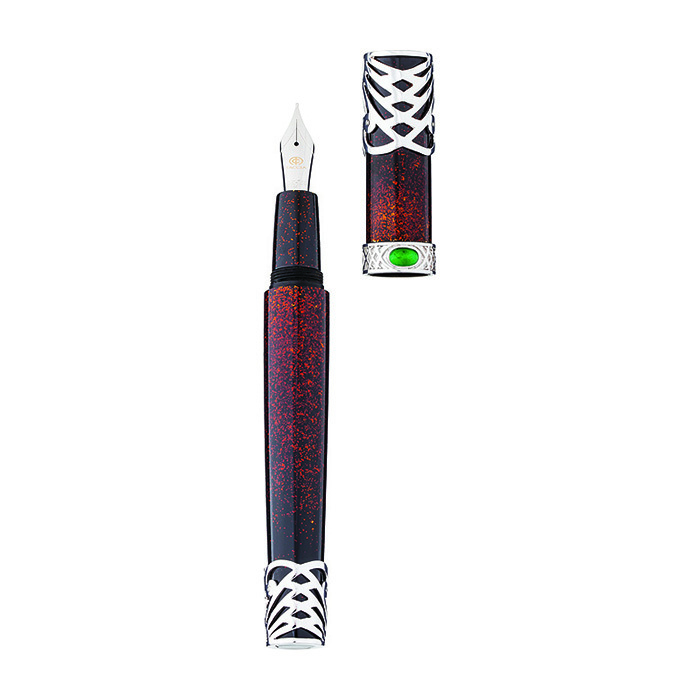 Gold powder, urushi lacquer, and hand-buffed bodies polish off the Emperor LA into its final form. 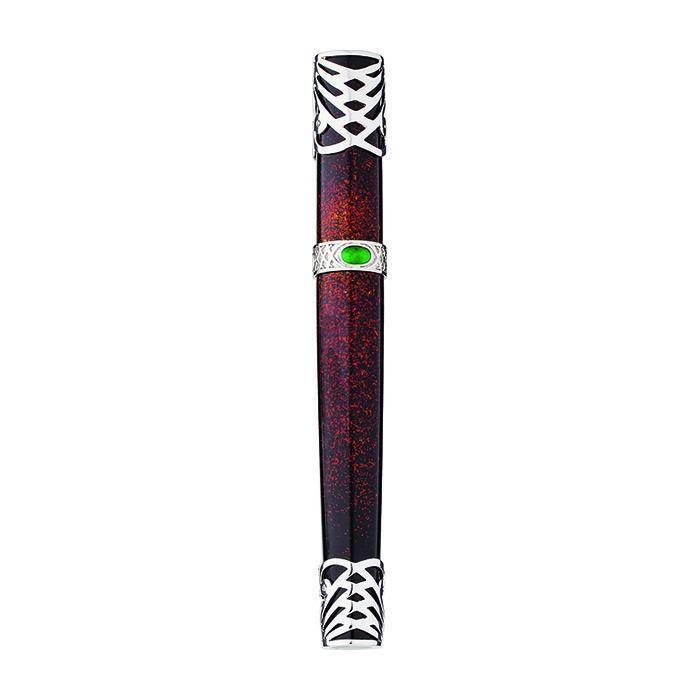 Finely fitted with an 18k Rhodium-plated nib. Be inspired by the power and grace of nobility. 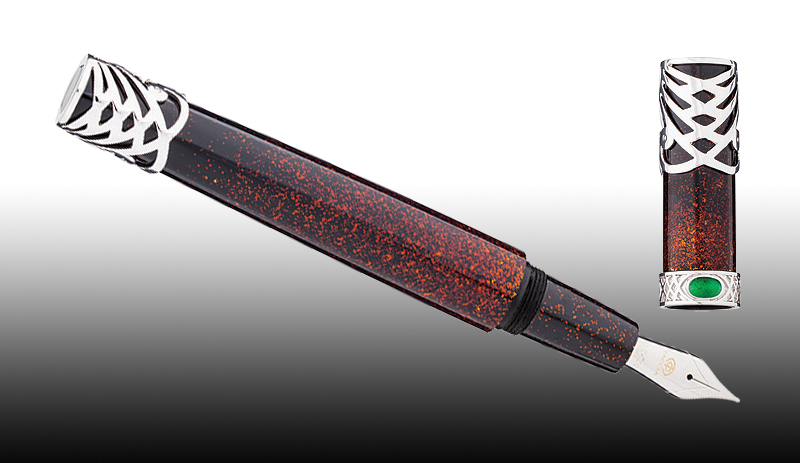 Limited to 90 pieces fountain pen and 30 pieces capped rollerball, worldwide.